Nothing makes fall more exciting than football season. 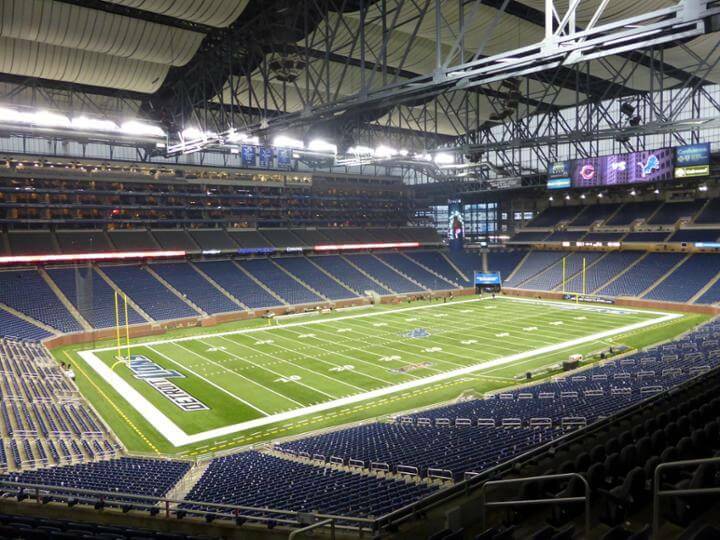 Head downtown to Ford Field, where the Detroit Lions play. It is a beautiful venue, and there's not a bad seat in the house. Let the excitement overcome you as you cheer on your heroes in Honolulu blue. Ford Field is located in the heart of downtown. There are plenty of restaurants and bars to visit after the game is over, or during it if you don't have tickets to the game. Catch it on the televisions with hundreds of other Lions fans! Either way, we know you will have a great time. One way you can make your Lions game more exciting is with an amazing limousine or party bus rental. Enjoying brews is one of the best ways to have fun at a sporting game, but you can enjoy it much more when you already have a designated driver to help you around town. All of your friends will already be together in one place, so you won't have to worry about rounding everyone up, either! Best of all, there's nothing better than not having to deal with traffic. It's always a win win situation with professional transportation! A limousine or party bus makes for a great mode of transportation because you'll have deluxe features to enjoy throughout the entire night. Everyone will be jealous as you tailgate in extreme style through the city. You can enjoy leather wrapped perimeter seating, subwoofer equipped audio systems, iPod capability, flat screen monitors with DVD capabilities, multicolored neon lighting, dark windows, and more.